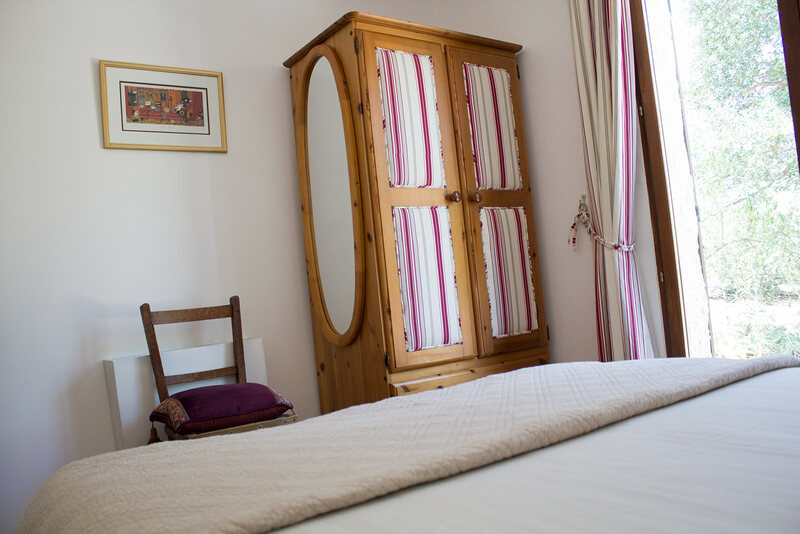 The end bedroom with a double bed, its own “porte fenêtre” (French windows) opening onto the terrace and private, pretty shower room. 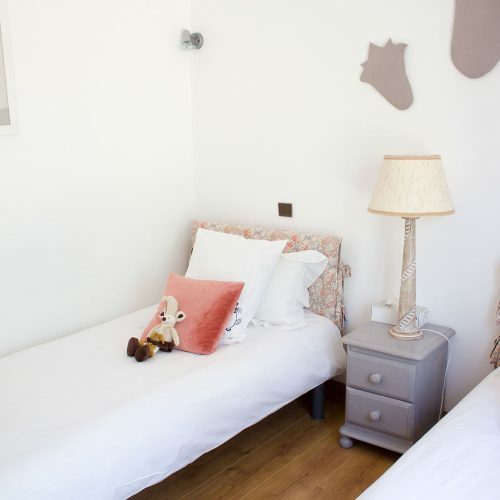 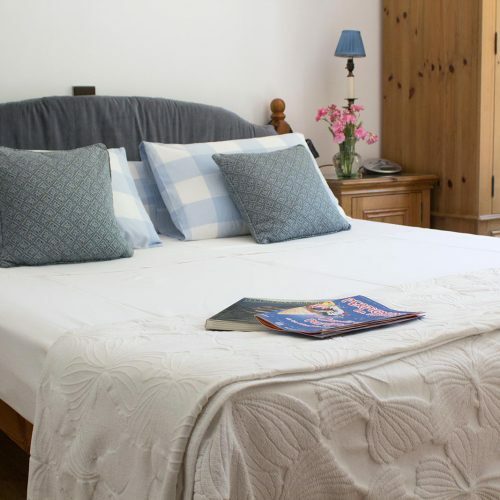 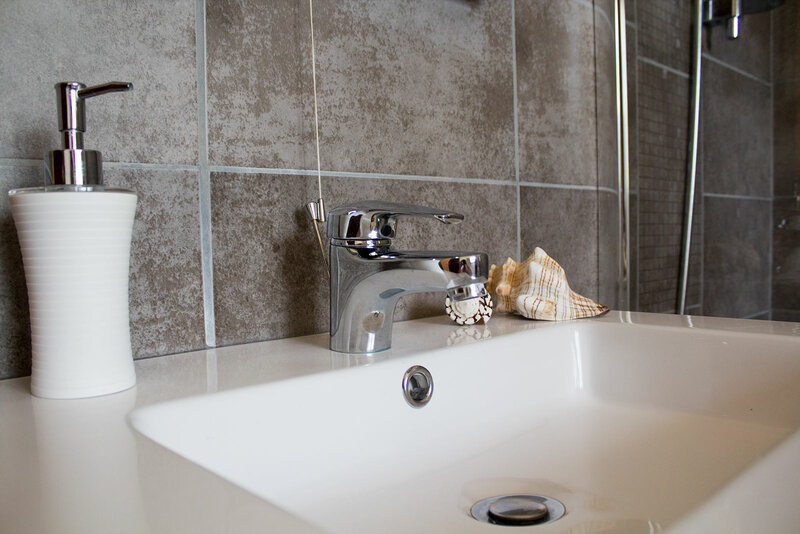 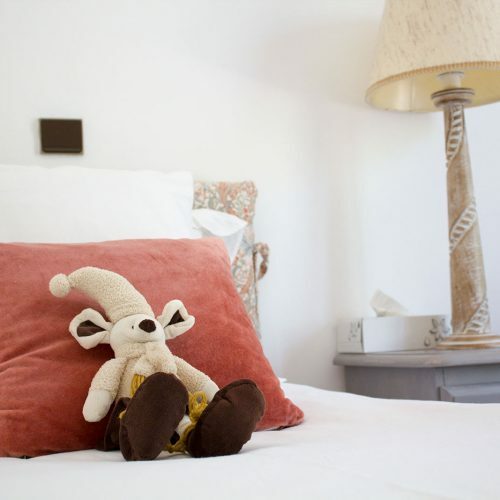 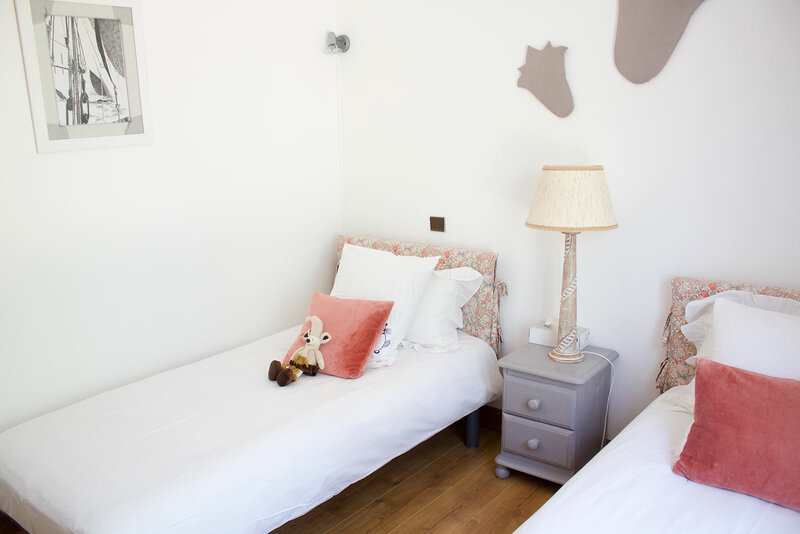 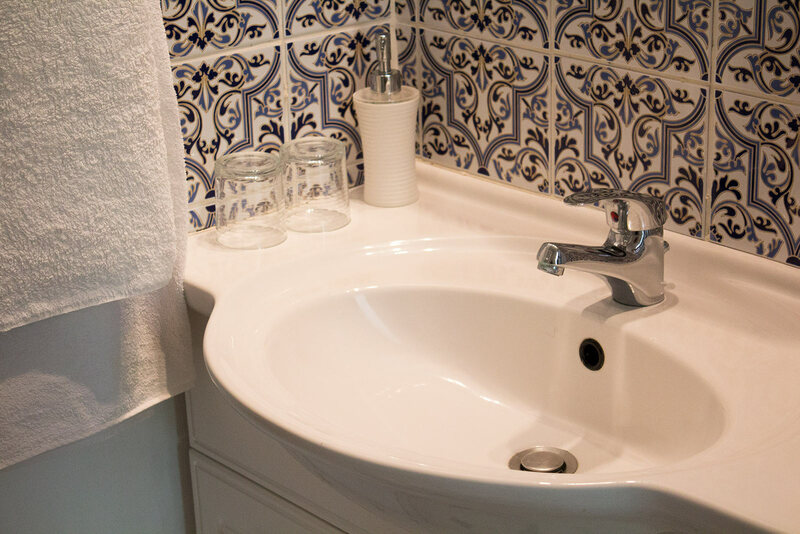 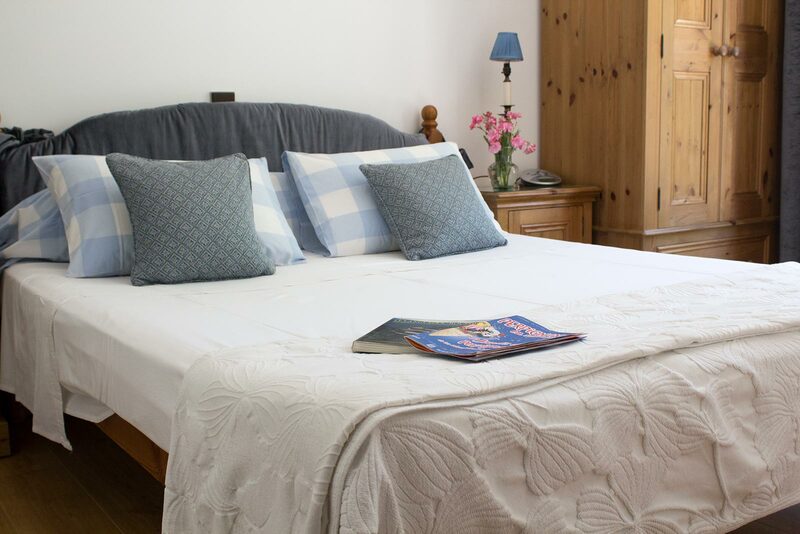 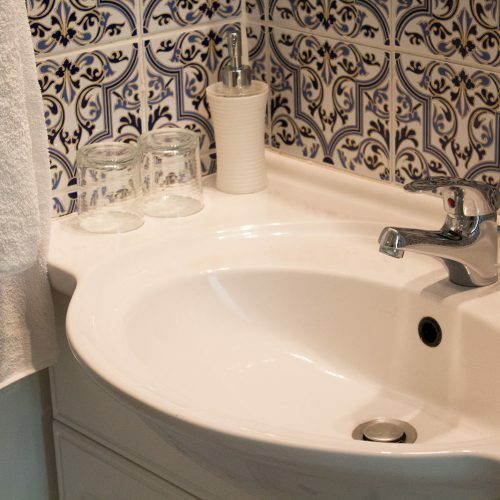 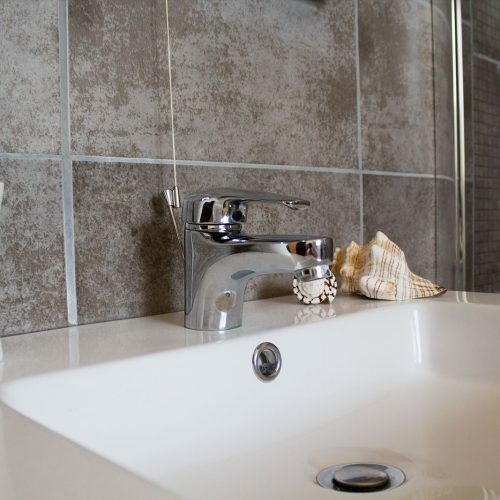 The Family Suite comprises a double bedroom and a twin room with a spacious shower room. 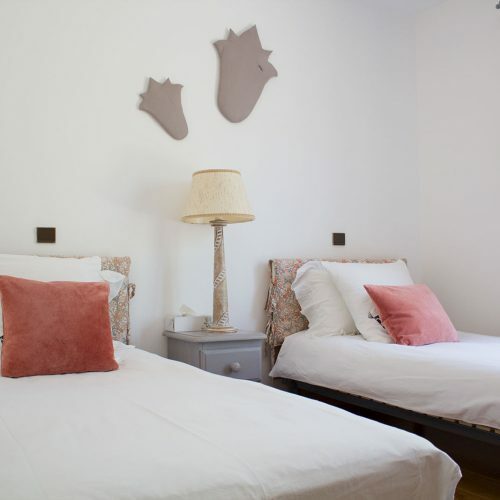 It can be let to a family, a party of four, or simply to two guests, charged by the number of guests. 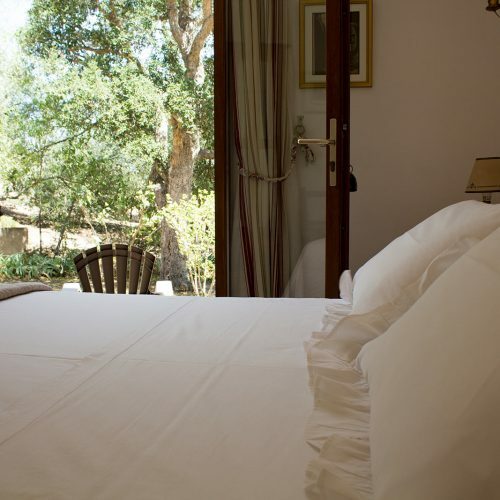 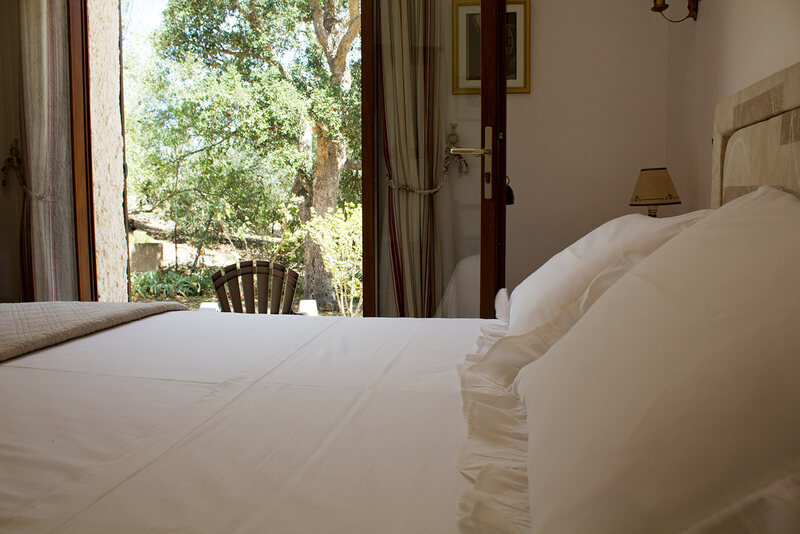 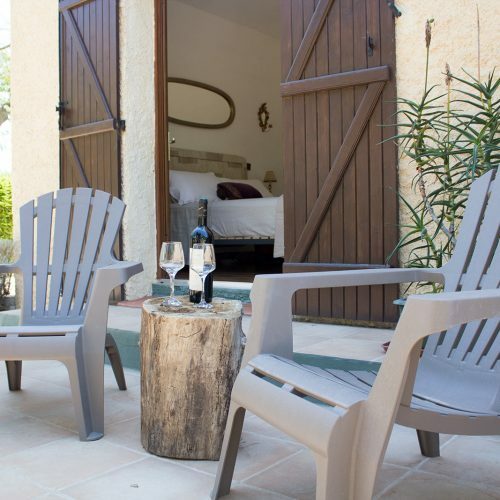 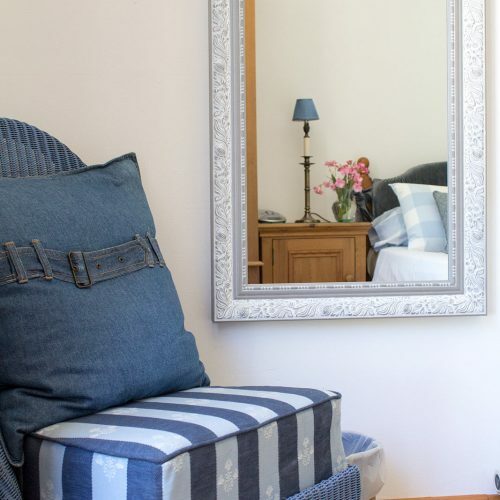 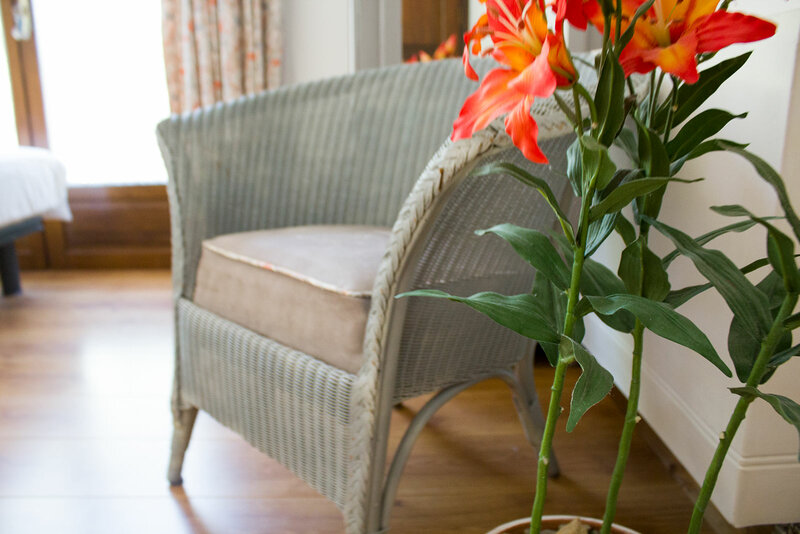 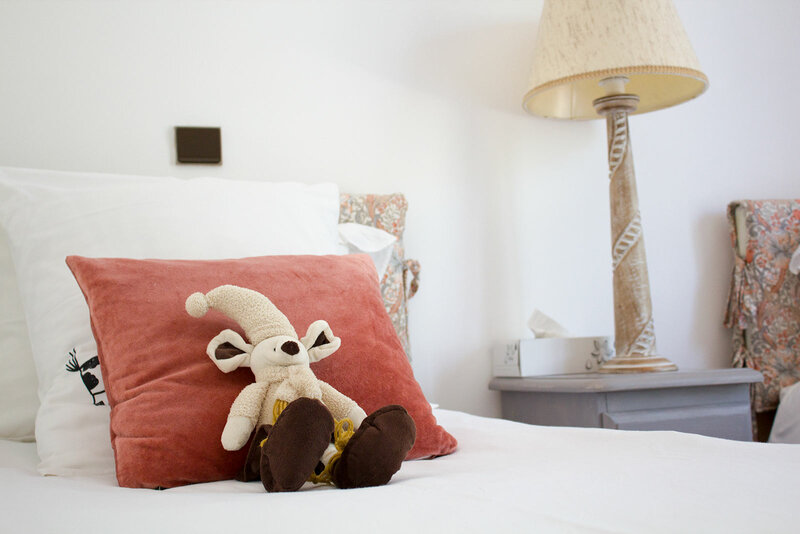 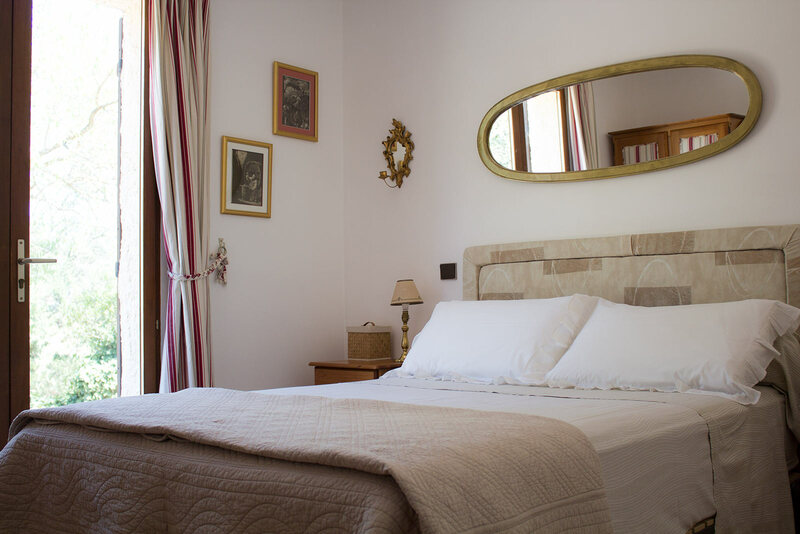 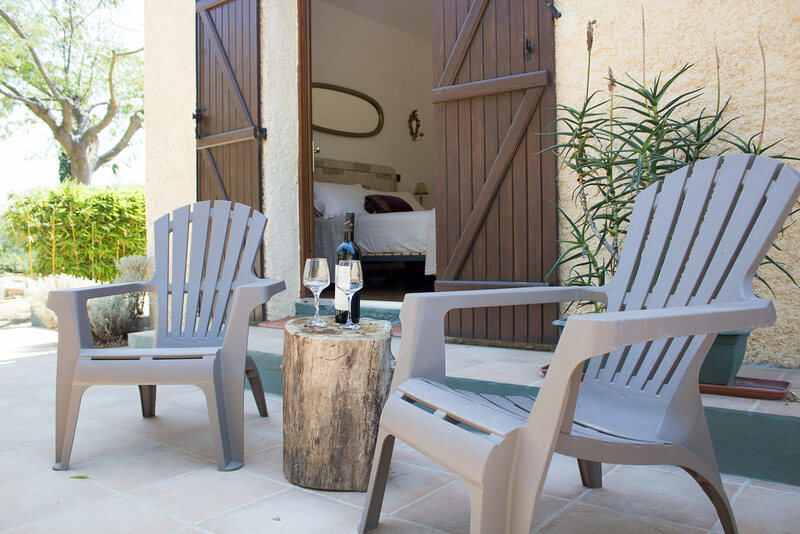 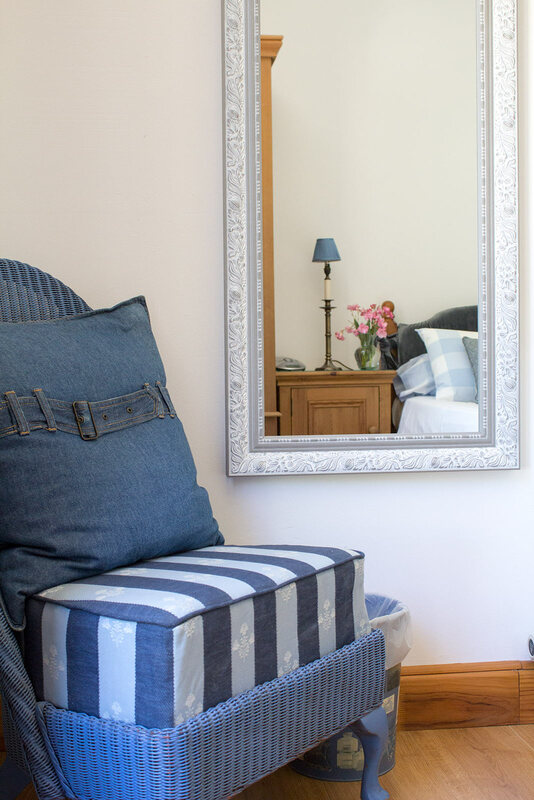 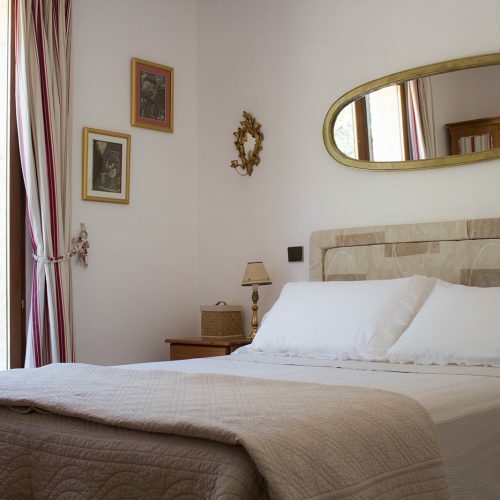 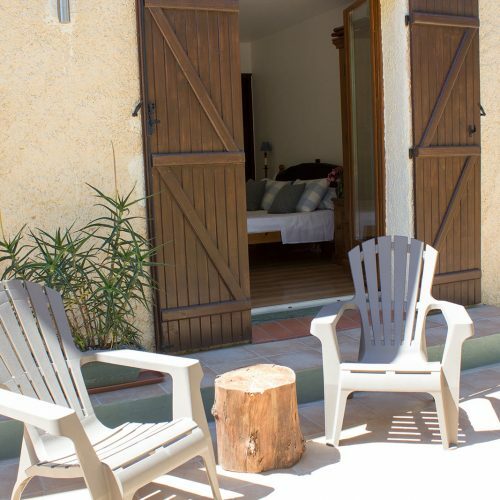 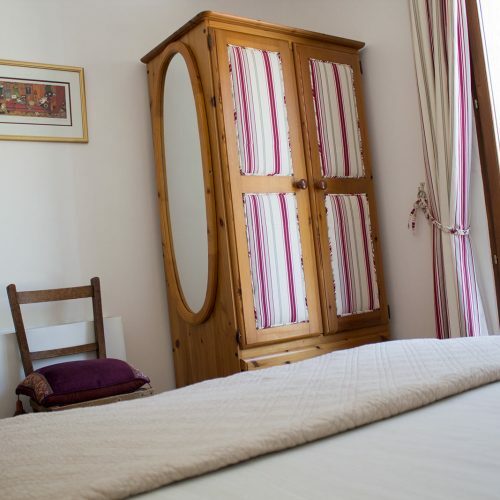 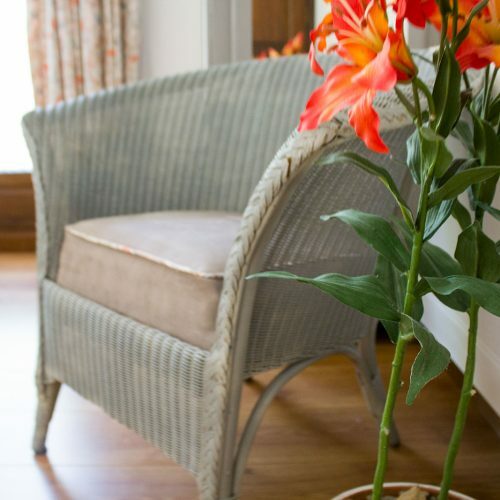 The front bedroom has a double bed with a deep, luxurious memory foam mattress, access to the spacious shower room, and its own “porte fenêtre” (French window) opening onto the terrace. 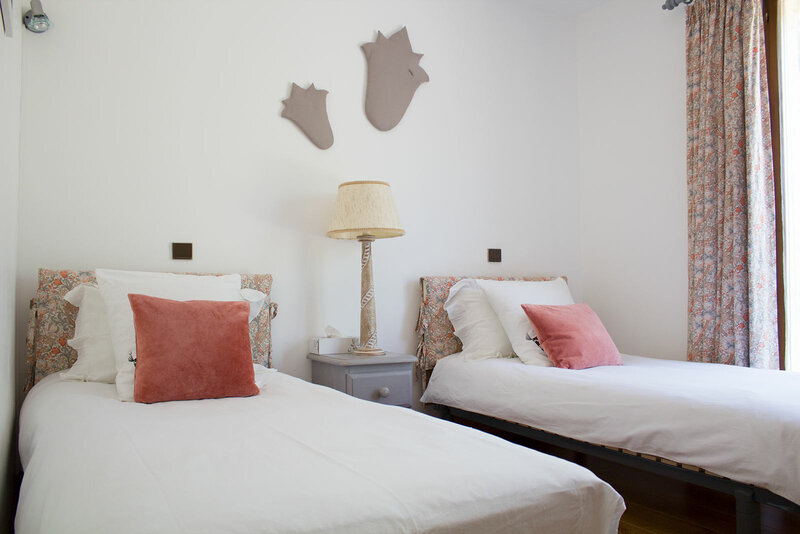 The middle bedroom with its twin beds provides a light and airy sleeping environment to welcome guests. 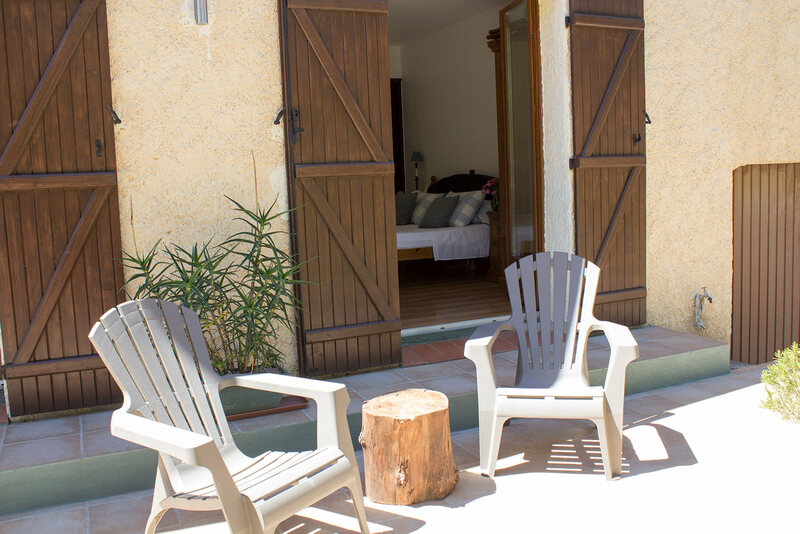 It shares the spacious shower room with the front bedroom, and also has direct access to the terrace.